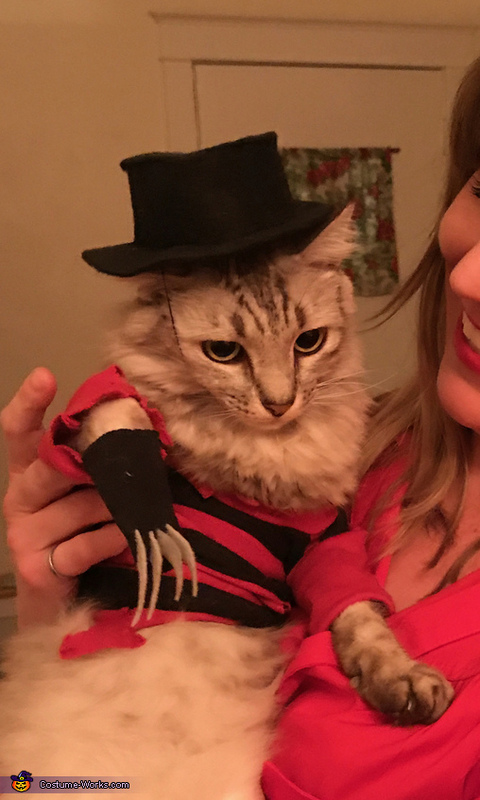 This is Beulah as Freddy Krueger. Everything is hand made, including the hat. I started with some black jersey and red jersey. I cut strips of each color of fabric and sewed them together to create the striped fabric. From there, I cut and sewed the sweater. I made the knife glove from the same black jersey with a heavy grey felt for the knives. The hat is black felt. Everything was either machine or hand stitched. Thanks for looking!